Joint Fit is a unique composition consisting of no less than 10 active ingredients. You can use Joint Fit when you need a boost to the body’s structure and the recovery of joints, cartilage and bones. Joint Fit is a premium nutritional supplement that actively improves the health of joints, fascia and sinews. It is one of the most complete, high-dose joint support products available. What active ingredients does Joint Fit contain, and why should you use this within the Joint Fit formula? Glucosamine is a protein that occurs in our cartilage and forms part of the lubricant in joints. It’s a building block (ultimately) of Proteoglycans. Due to age or intensive training, the body can fail to produce enough of its own glucosamine. Our cartilage is a tissue rich in sulphur. In studies examining knee and joint problems, MSM – also rich in sulphur – has brought a significant improvement, in comparison with the control group, over a period of three months. Like the glucosamine mentioned earlier, chondroitin is a building block of glycosaminoglycans. The theory is that a controlled intake of glucosamine and chondroitin can bring about the desired result faster (both ingredients reinforce the other’s effect). A combination of collagen and phosphorus, taken as a supplement, helps to reduce joint pain for people with arthritis and sports injuries. This is probably because this combination plays a role in the repair of cartilage in joints and because phosphorus, especially, helps to maintain strong bones. Calcium is a mineral that is required to build and maintain bones and joints. 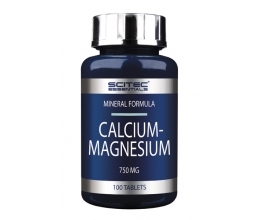 Calcium is also required for effective operation of the nerves and muscles, and for the transport of other minerals (such as sodium, potassium and magnesium) to our cells. This combination benefits cartilage and the skeletal system. It helps to maintain strong bones, and all the tissues that provide our body with structure and sturdiness. Such as; joints, sinews, muscles and bones, which depend on the constructive effect of vitamin C.
Essential for the development and maintenance of muscles, bones and joints. Vitamin D promotes the absorption of calcium in bones.